Serve after death: Christian priests lead the way…. As priests in the city preach organ donation, more community members open up to donating their bodies and organs to hospitals after death. Bishop Agnelo Gracias says there is growing awareness among his parishioners to not spend money to destroy trees for coffins, but to be able to serve after death.It was December 24, 1996. The gathering at a church in Bandra saw Father Francis Miranda’s body taken away not in a coffin to the cemetery where it would have been laid to rest, but to JJ Hospital. The priest had wished to be “of service to mankind” in some form after death. In the nineties, it was still early days in India for organ transplants. And so Father Miranda had pledged his entire body to the JJ Hospital’s medical college for academic research. Two decades later, the trend has grown enormously in the Christian community. Led by the priestly class, more and more members of the faith are now willing to pledge their organs in the eventuality of brain-stem deaths, a condition mandatory for cadaver organ transplant under the Transplantation of Human Organs Act, 1994. At 77, Bishop Agnelo Gracias is passionate about his decision to donate every possible organ. On September 9, 1982, he visited JJ Hospital to meet the dean. “The dean showed me where my body would be kept if I decided to donate it after death. And I thought I would like to be of help to mankind. I told my family about my intention to donate after I die,” he says. Attached with the Archbishop’s House in Colaba, Gracias recently also pledged his organs for transplant if he suffers a brain-stem death. “If someone can see through my eyes, or use my kidney to live longer, that would be service to God,” he adds. He has written about organ donation in parish magazines to encourage the community, spoken about it during mass or during interaction with people to make them understand its importance. According to him, there is growing awareness on not spending money to destroy trees for coffins but to be able to serve after death. The intention echoes. Since October 2014, after Pope Francis spoke about organ donation as a “testimony of love”, Gracias has been using those words to spread the message. 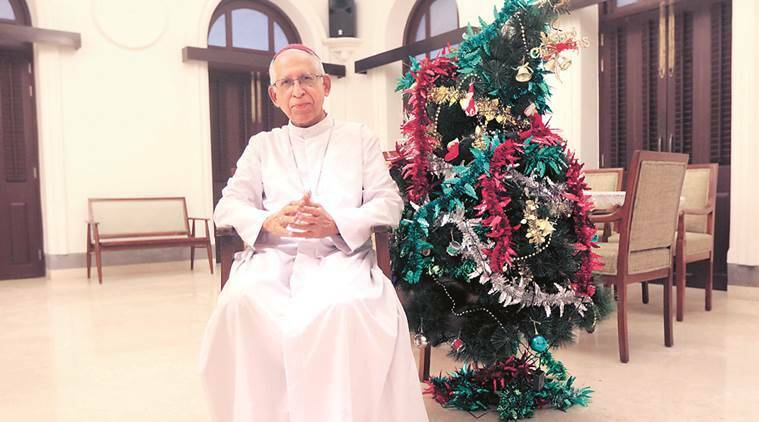 Like him, the Archbishop of Mumbai, Oswald Gracias, has also pledged his organs after death. In 2016, the city witnessed 58 cadaver organ donations, the highest so far, that helped 91 kidney failure patients, 58 chronic liver failure cases and 34 heart patients. With community leaders including priests promoting the cause, the numbers look set to rise further in 2017. On August 23, when Jacarine Alex suffered a brain haemorrhage immediately after leading a prayer in Saki Naka, her son Father Ryan Alex decided to donate her organs. “I studied the church’s stand on it. My family did not know much about organ donation when I shared the idea,” says Alex, from Our Lady of Fatima Church in Vidya Vihar. Not only did the priest donate his mother’s organs at Fortis Hospital in Vashi, he even invited a team of transplant specialists to her prayer meet to raise awareness. “They cleared any doubts people had. There is some apprehension about organ donation in the community which needs to be addressed,” he adds. Christians are increasingly tilting towards the idea that after death, the soul finds salvation while the body returns to dust. “We are preaching that if we can better the life of others, why not do it,” says Father Nigel Barrett, spokesperson for the archdiocese. It was during one such awareness programmes that Alisha Nazareth, attached with a production house on Veera Desai Road, learned about organ donation. When her grandfather B E Mendes passed away in Goa at the age of 89, the Nazareths donated his entire body for medical research at Goa Medical College in Bambolim. As he suffered a cardiac arrest, his organs could not be donated. “He was a freedom fighter in Mumbai during Independence. After his death, even my grandmother has decided to donate her organs,” Nazareth (23) says. Comments Off on Serve after death: Christian priests lead the way….